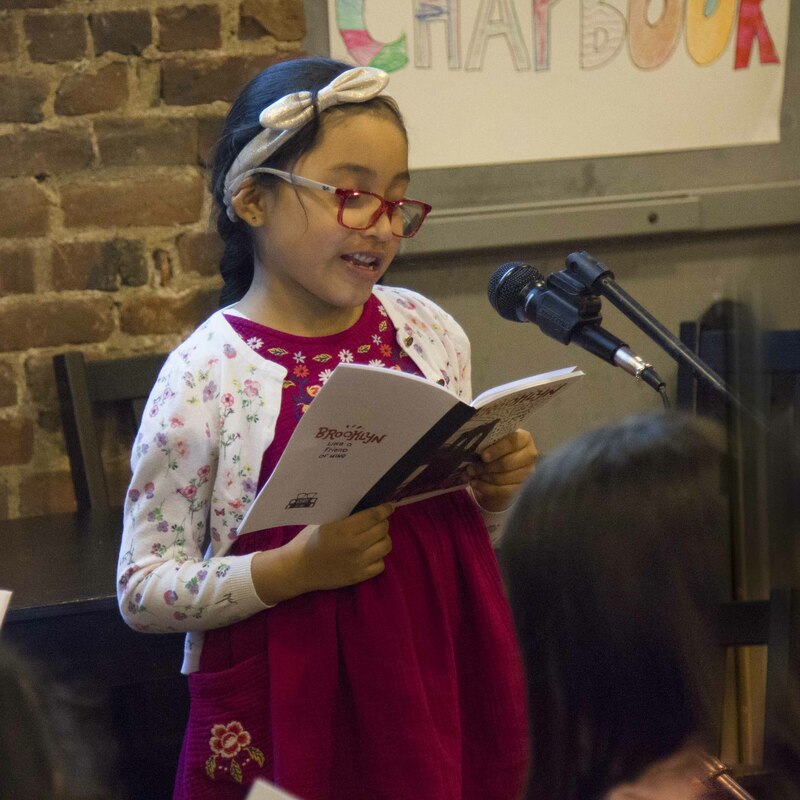 Brooklyn, Like a Friend of Mine is a special poetry collection that commemorates our students’ lived experiences in poetic form. Brooklyn is a very large place, but through the eyes of young people ages 6-18, we are allowed to see small slivers of it. “Freezing does not even describe it here,” says David, age 12. Estrella, age 9, tells us: “You should move to Brooklyn.” And “if you’re bored in New York,” writes Jan, age 10, “you can do your own thing.” From detailed epics to compact haikus, 826NYC’s young poets color the streets and apartments and subway stations of Brooklyn with vibrancy and life and excitement. Brooklyn, Like a Friend of Mine is a book you’ll want to share with all of your friends too! Stop by our storefront, the Brooklyn Superhero Supply Co. (372 5th Ave), to grab you’re copy today. To work alongside our students as they write their own paths forward, visit volunteer.826nyc.org or email volunteer@826nyc.org to learn more about how to get involved as a volunteer!